In Montana the rafting and kayaking comes when the winter snow melt begins. This annual migration of snow to water can vary in its awakening, but when it comes, it can create some of the most beautiful sections of whitewater in the Rocky Mountain West. 1) The Lochsa River: The undisputed champion of the west! Although technically in Idaho, this river might as well belong to Montana. 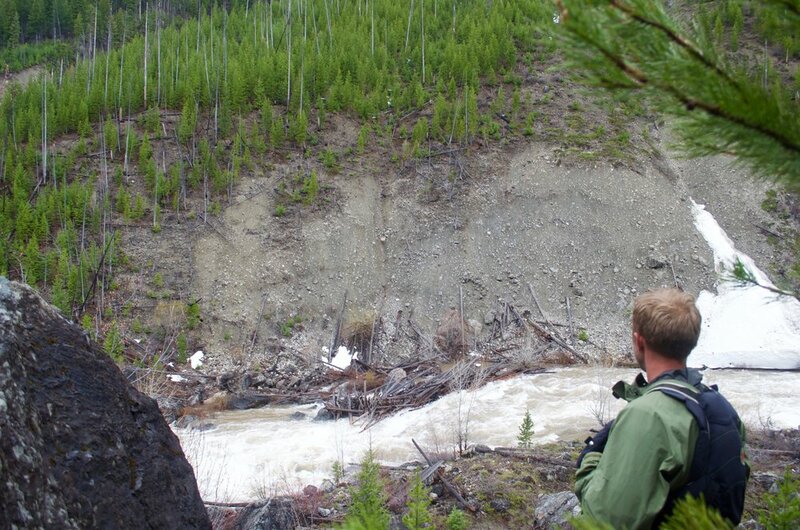 A short drive from Missoula, the Lochsa is a testament to the importance of wilderness and protecting our waterways. With 30 miles of pristine class 3 and 4 rafting and kayaking, surf waves, and cedar, there is no wonder that for many this is a place to love and respect. 2) The Kootenai River, a place of historical significance for native tribes in Montana, Idaho and BC, and it’s truly a unique Montana river experience. Only 2 miles long with multiple channels, this run has a variety of excitement for any river runner. 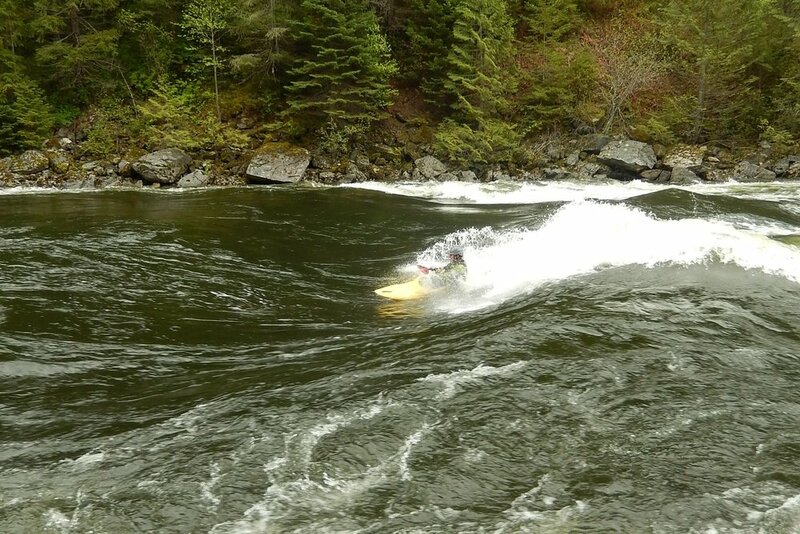 The run starts with the tourist-heavy Kootanai Falls, a river-wide, 20 foot feature mixed with slides and vertical drops. As the run progresses, it builds into a series of spectacular class 4 ledges and mountainous wave trains. This is truly a must for any Montana Boater. While you’re there, be sure to hit up the Yaak River on your journey as it is only a short distance from the Kootenai. 3) Big Timber Creek: A true natural waterpark packed with twists, slides, and general rowdiness, Big T is everything you thought and so much more. When thinking of this run, all I can do is shake my head and smile. Steep is an understatement with Big T as it tumbles its way out of the crazy mountains bringing with it the few people seeking its thrills. A local tip: bring the elbow pads and good seat cushion for the ride. Another must for any Montanan Boater! 4) North Fork of the Blackfoot: “Classic” is the best way to describe the North Fork. It has everything to love about Montana kayaking: wilderness, solid river running and bears! The North Fork should always be on the spring hit list. It begins with a spectacular 3 mile hike into the Bob Marshall Wilderness, providing an intimate look into true Montana backcountry. The Steep canyon is a patchwork of old forest fire scars and thick wooded pine with larch stands creating a perfect environment for Montana’s most famous beast: the Grizzly bear. If you are lucky enough to spot one of these beauties, be happy with your decision to paddle out. And if the animals don’t excite you ,the river will with 8 miles of continuous boof-a-licious class 3 and 4. 5) Wild Mile of the Swan: Rounding out Montana’s top 5 with the heart and soul of Montana’s river scene. As the host of the Big Fork Whitewater Fest, the river is the annual gathering place for Montana’s river community every Memorial Weekend. 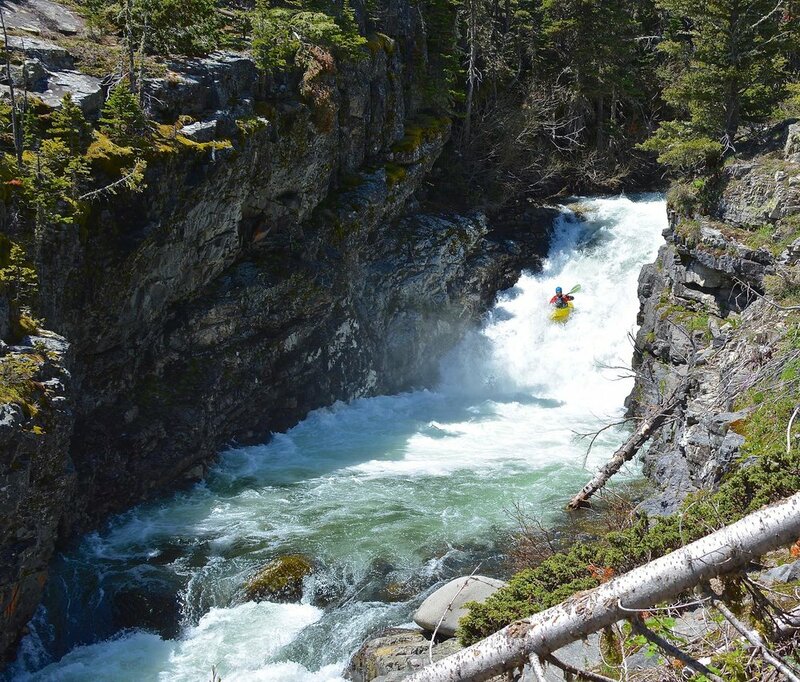 Truly wild, this run is an explosion of froth and beauty from its beginning over a 20 foot dam to the finish line in Flathead Lakes glacial waters. Be ready for unexpected holes and waves that seem to send you to the tops of trees! Newer PostWhat are the Best Boats for a Beginner Whitewater Kayaker?